A goat's recent act of mischief may have saved his life. 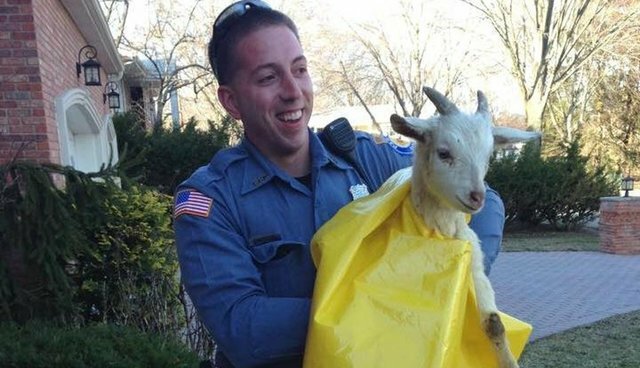 Police were called out this week to capture the rambunctious goat after he was found out and about committing "disorderly behavior" in a New Jersey neighborhood. According to the Paramus Police Department, the unattended little animal had been headbutting a door, which was reason enough to detain him. 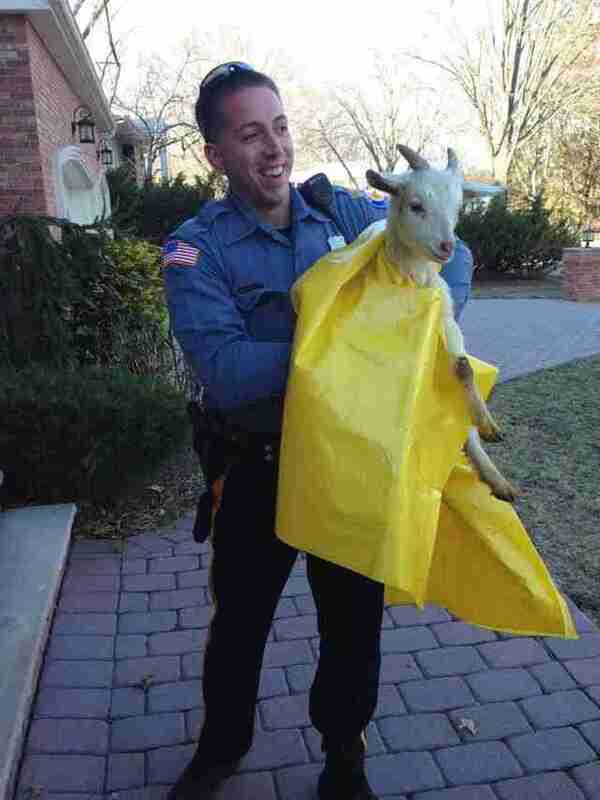 With no owner in sight, the officers transported the goat to a nearby animal shelter. There, they discovered he was in dire need of medical help. "He was not in the best of shape," Carol Tyler, from Tyco Animal Control, told The Dodo. Their livestock veterinarian found the goat had an upper respiratory infection and possibly pneumonia. "We've started a course of antibiotics and hopefully the goat will start feeling better soon," she said. Authorities are still trying to track down the goat's owners, but Tyler suspects that he might have been destined for slaughter, then abandoned because he was sick. Thankfully, the goat won't be homeless for long. Several farm sanctuaries have already invited to take him in once he gets better, promising to let him live out his days in peace and comfort. "I'm sure this goat will have a fulfilling life. There's been so many generous and wonderful offers. I'm sure we're going to place this goat in the best possible home," says Tyler. "It was probably a blessing that he was detained."